This historic landmark combines the beauty of the past with all the best hope for the future. We invite you to work with us, play with us, and enjoy our campus like it was your own back yard. 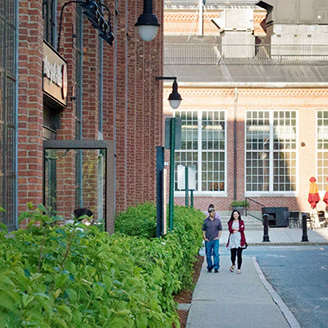 Situated on the historic Arsenal’s open campus with ample parking, public transportation options, food trucks and Boston Sports Club on-site, these spaces offer a community driven-workplace experience. 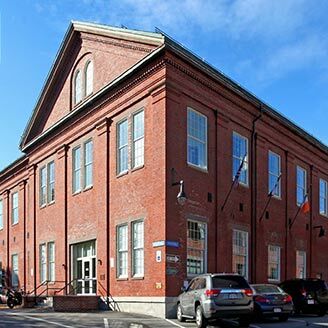 After decades of being closed to the public, the Arsenal on the Charles is now a community resource. 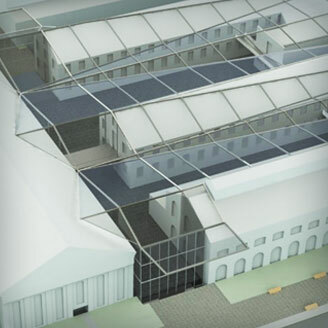 Take a tour through our plan to activate the campus over the next two, five and ten years. Branch Line has been awarded Best Beer Program of 2016 by Best of Boston. The placement appears in the July issue of the magazine and specifically notes the extensive work in keeping BL’s beer program both current and interesting. After 16 months of construction, the Arsenal on the Charles' campus has opened the West Garage. The construction project team begins the week of October 17, focusing on mobilization, site protection, and clearing away obstructions. Soon, in a progression from north to south, the asphalt will be cut and removed to prepare for pre-excavation. Come November and December, the major excavation will be done, where excess earth material is hauled off the site. During excavation, approximately 10 to 20 trucks will be entering and exiting the site each day. In December, they will start the support of excavation, in preparation for foundations and underground utilities. Stay tuned for progress updates over the next couple of months.